Amanda Greenslade's dynamic team includes professional editors, book designers, website designers and marketers. Building upon these skills to specialise in ebooks since 2011 makes this friendly team in Brisbane Australia's ebook experts. 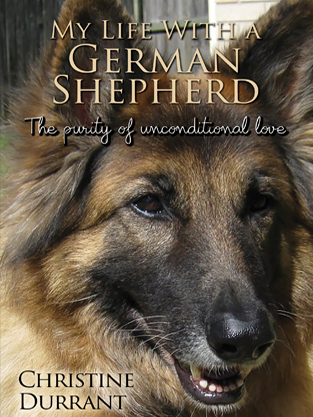 Providing genuine service for people looking into self-publishing, Australian eBook Publisher produces books in print and as ebooks. We publish books on behalf of our clients, offering generous contracts and reliable service. A selection of the books we have designed and published can be found here. Our professional book publishing team offers book editing, book illustration, book cover design, book design (layout, typesetting), ebook conversion, ebook distribution, print-on-demand, book print procurement and book marketing. We are happy to supply a detailed quote at any time and are happy to communicate with clients either via email or by calling the office on 0410 381 333. We also trade under the new brand of PublishMyBook.Online, which reflects the expanding nature of our publishing services. No matter what brand you approach us from, we promise to be people you can trust. To offer high-quality customer service that empowers authors and publishers to release books in print and ebooks worldwide. We will be flexible, authentic and supportive to you or your organisation’s unique needs. With our combined knowledge of publishing and ebook technology, we are positioned to help you succeed. There are complexities in ebook and print (and print on demand) production that DIY-authors and many self-publishing businesses are not geared to cope with, especially the fast-changing nature of technology. However, our aim is to guide and support you to achieve your publishing goals. With ebooks and self-publishing on the increase, the lines between author and publisher are becoming blurred. For this reason, Australian eBook Publisher has the word ‘publisher’ in its name, but it is not a publisher in the traditional sense. We are a self-publishing service that assists with editing, design, layout and marketing. We also provide an Australian ebook aggregation service for those who don't wish to distribute their ebook themselves. We can edit, design and format books for print and arrange offset printing or print on demand. 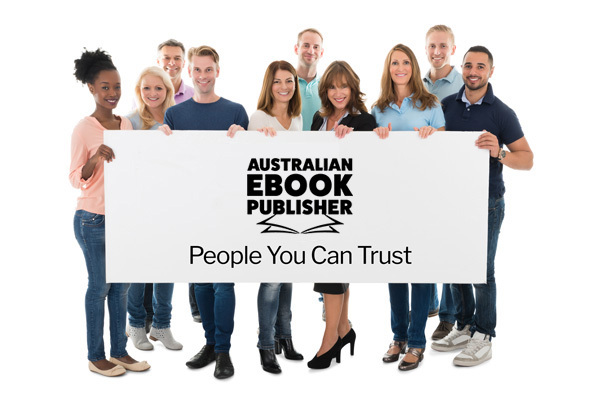 Why Choose Australian eBook Publisher? We are an Australian assisted self publishing business, which means we follow local trends, keep up with the Australian publishing industry, we speak the local language, we are contactable in Australian business hours and we process ebook payments to and from an Australian bank account. We provide a stepping stone for you to do business with customers and distributors in other countries, including the USA. This saves you from having to worry about US taxation, the IRS, forms, regulations and foreign exchange fees. Your ebook project will be overseen by Amanda Greenslade, the creative force behind Australian eBook Publisher. Amanda is a writer, editor and designer with a passion for Australian writers and ebooks. Amanda will nominate a member of her team to be your Publishing Coordinator. This highly trained editor/designer will communicate with you at every step of your project, providing a consultant and a guide throughout the entire process. An advantage of working with us is you will have someone else experienced going right through your book or ebook(s) and looking out for problems. We keep a semantic view of text where possible, for example if we notice any references to page numbers we will prompt you to let us change them to hyperlinks. Instead of including text like ‘on page 54’ we will encourage you to come up with a semantic description like ‘in the upper body section of chapter 4’. Anything that should send the reader to a website for more information, like your name or your company name, can easily be hyperlinked. And we will double-check all these after the ebook formatting has been done, to ensure at least a high level of accuracy. Our process is more thorough than you can expect from other ebook publishing services, especially those that have a bulk/cookie-cutter approach. Our method results in a project workflow that is easy to control and change, especially things like page breaks, meta and content TOCs (table of contents), complex formatting, ebook meta data on vendors etc. We also have recommendations about your publishing details pages, ISBNs and registration of your book etc. We are helpful and flexible during the ebook design process, which means you can receive a draft from us, see how it looks, then ask us to change something, and we’ll do it (within reason of course). If you were going to DIY, imagine the stress and time that would take. And when you attempt to do anything alone, there is always a stronger possibility for mistakes like typos in your meta-data. We actually care about your project, so we will do everything within the project scope to ensure your book is an excellent ebook. We are committed to making the lives of authors as easy as possible, while also ensuring our business remains viable. Our contract is based on one from the Australian Society of Authors, of which Amanda is a member. We believe that the royalties we offer are a fair deal for authors, and with our Royalties Dashboard, the reporting and simplified data you get from us is a real boon. We offer ebook design and distribution. Deal with one entity for all your book publishing needs. We also have a team of expert book marketers who can provide you with a marketing plan, check and optimise meta-data, help you encourage reviewers to review your book online, design advertisements, websites, help you get going with promoting your book on social media etc. See all our Marketing Services.